Today’s the last day of a three-day conference entitled ‘Sphere Born Harmonious sisters, Voice and Verse: the interconnections between music and the written word’. Anyone living or staying in or around Bagni di Lucca will have missed a lot if they haven’t been to at least one session of this fascinating conference. 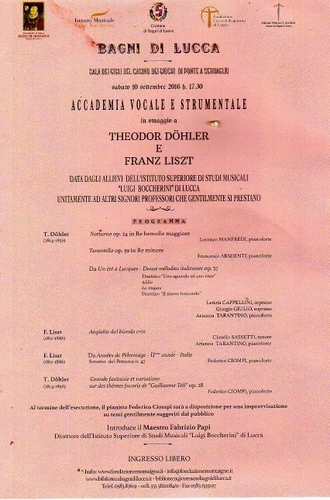 On day one, for example, there were talks on the relationship between Giacomo Puccini’s choice of libretti and his music. I was immediately reminded of Richard’s Strauss’s ‘Capriccio’ where the question ‘what’s more important the words or the music?’ are profoundly debated in his late opera. Bareham’s talk on the Vauxhall pleasure gardens was for me an excursion into nostalgia since Finchcocks, the country house, once housing the Burnett collection of old keyboard instruments and which had an excellent exhibition on the phenomena of London Pleasure gardens, was closed and sold at the end of last year. Other themes included Oscar Wilde’s relationship with music and the woman singer in Victorian novels. Charles Lamb’s description of music in his ‘essays of Elia’, the relationship between romantic and contemporary rock music, the origins of Mick Jagger’s ‘sympathy for the devil in Milton’s London’, the myth of Orpheus, aspects of sound in the American novel and (my favourite one) the close encounters between James Joyce and Michael Balfe, the opera composer, whose texts and musical procedure underline so much of Joyce’s work (he composed too) right to the end of ‘Finnegan’s wake’. The highlight of day two was a concert given by students of Lucca’s Boccherini conservatoire which reflected a recital given in the same magnificent casinò where the conference was held, of a concert given by Doehler in 1842. 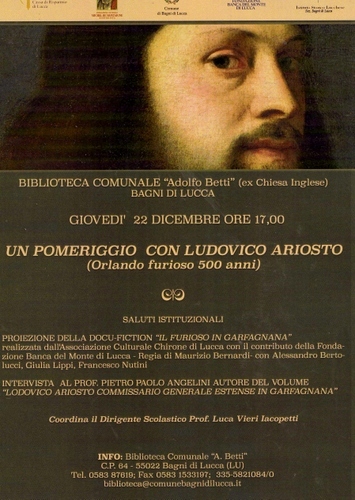 The inspiration of this concert came from the unexpected find by Bruno Micheletti of a concert programme of the original recital in Lucca. The performers’ standard was incredibly high and both the piano playing and the singing were very enjoyable. In particular, Doehler’s fantasia on themes from ‘William Tell’ played by Federico Ciompi were almost Lisztian in virtuosity. That’s no coincidence since both composers knew each other and indeed, Liszt played in our casinò (in front of the prince of Lucca) just a couple of years later. No doubt all these talks will be issued as a volume as part of the Michel de Montaigne foundation’s increasing library of conferences it has sponsored since 2008 so I’m not going to say anything more about the substance of what was delivered except to remark that the speakers had largely researched into some quite extraordinary connections, so many of which were quite new to me. The delivery was also of a good standard and the presentations were mostly very good. 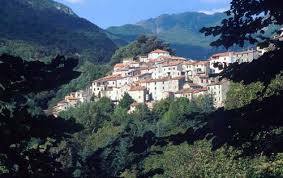 There’s no need to go far to find excellences of the highest order in and around Bagni di Lucca. A considerable part of this contribution must be owed to the munificence of the Montaigne foundation under the indefatigable chair of Marcello Cherubini. Today we are promised talks on folksong and one I’m particularly looking forwards to the talk on Janet Ross’s love of Italian peasant songs. (See my post at https://longoio2.wordpress.com/2014/09/25/poggio-gherardo/ for more on this formidable woman). There’s also a talk on Harems and Mozart’s ‘abduction from the seraglio’ which should be fun. Now I’m off to hear the last day of this, one of the most enjoyable events the foundation has laid on since its inception. 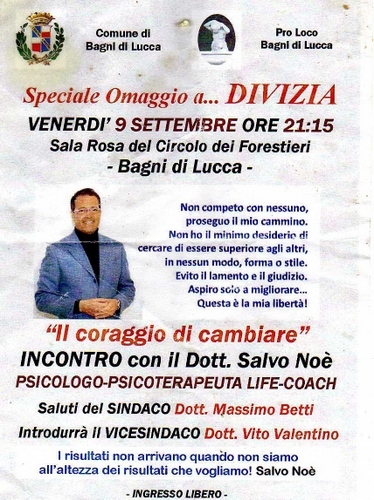 The speaker, Dr Salvo Noè from Acitrezza Sicily, life-coach, psychologist and psychotherapist was introduced by mayor Betti and the conference was chaired by deputy mayor, family doctor, theatrical entrepreneur and exponent of a holistic approach to life, Vito Valentino. 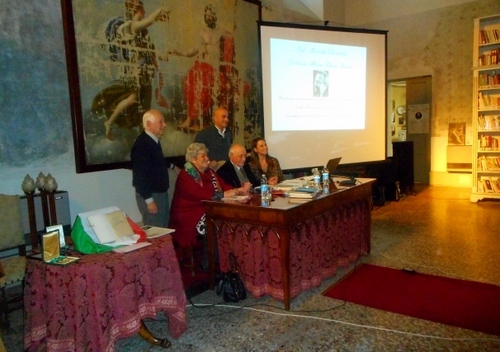 One had to be alert and well-versed in Italian to take in the exuberance of the messages Dr Noè imparted to us. The general thesis, however, was that if one complains ‘why do these things just happen to me?’ then one is not the victim of circumstances – rather one is the victim of one’s own doing because one hasn’t the courage to modify one’s perception of the world. Like other animals, we are creatures of habit. 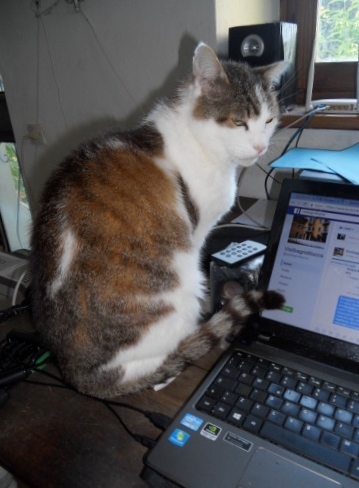 In my life, for example, there is a built-in routine of waking up in the morning, feeling bad if I’m still in bed after a certain hour (my cats will soon tell me if I’m oversleeping by pouncing on me while still in bed), and then the usual daily ablutions, the feeding of my menagerie, the watering of plants, the writing of a post, the day’s organizational diary, the daily walk etc. etc. There are habits which are good to nurture as they also form a protective cushion around one’s life but there are others which are definitely worth considering either discarding or changing radically. Dr Salvo Noè has worked on intra-personal relationships in many different areas. 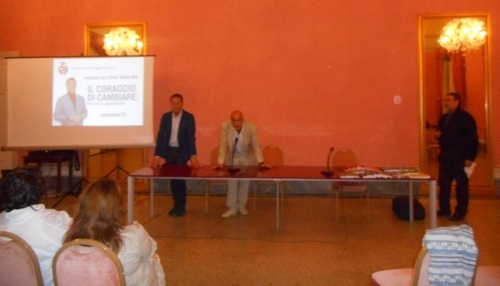 Most visibly, he’s worked with couples and families, with schools, with football teams, with carabinieri and other crime-busting squads in all parts of Italy and has published a number of books which encapsulate his approach. Simply put, we must find the courage to overcome the fear of changing ourselves if things regularly don’t work out. If one can change an energy supplier or a telecommunications firm because one isn’t happy with it then why is one frightened of changing or re-moulding oneself? Women have the upper hand here because they can more clearly change their appearance through make-up or a beautician. But these are merely external changes. The general dynamic is ‘I think, I feel, I wish.’ E.g. I think things may not be quite right the way I am handling them (they keep on producing the same unwanted result), I feel bad (in a clinical not a criminal easy, I would add…), I wish for change, I will change. I thought of the Descartian maxim ‘cogito ergo sum’ (I think therefore I am) and realised that it could be reversed into ‘Ego Sum ego cogito.’ (I am what I think). I noted down a few of the phrases Dr Noè said. “No-one can find the best way of doing something without starting with the wish of really wanting to do it in the best way”. “Courageous people certainly feel fear but they will not allow that fear to immobilize them.” (At this stage I thought of extreme sports). “Excessive fear is linked to the lack of competence. (Competence being the combination of knowledge, the capacity to import this knowledge and correct behaviour in carrying it out – I thought of my own experiences in teaching and realising at an early stage that knowing one’s subject wasn’t enough: one had to impart it with confidence and deliver it with enthusiasm.). 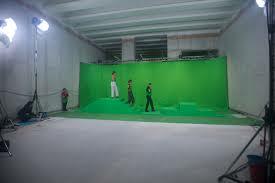 “Practise makes perfect” (as any sportsperson, artist or artisan knows as second nature.). 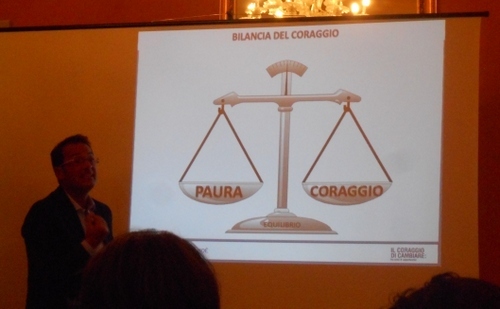 At this stage Noè showed us a picture of a pair of scales where fear and courage were equally balanced. The keywords to positive change are habits and mentality. Positive change is change that has been intelligently applied to one’s advantage to produce an improvement, rather than suffering under it, so that we are able to change it into real progress. A considerable discussion ensued after the talk. There were clearly dissenting voices. How could one talk about quality time with one’s family if one wasn’t married with children oneself? 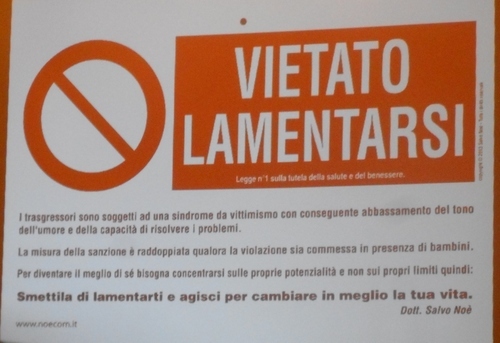 And why shouldn’t Italy’s increasing army of unemployed (especially young) people and the victims of the recent seismic disasters be forbidden to moan, or at the very least complain? 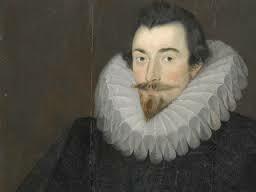 It was, however, a generally stimulating evening and I wholeheartedly agree that most negative things that happen to one are due in many instances to the way one copes with them, rather than being regarded as further examples of the bad luck one is supposedly singled out to be afflicted with. 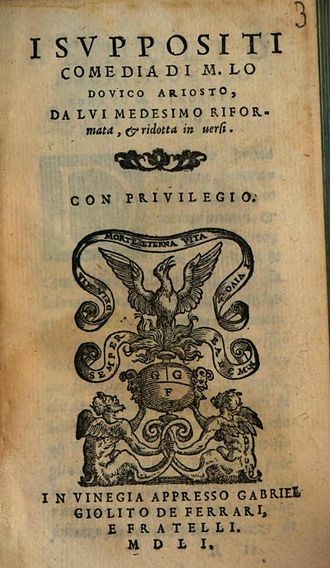 PS In case you didn’t know who Divizia was, she was an unassuming, even ugly (with a goitre), peasant girl at Bagni who was noted by Montaigne, during his visit to the Bagni di Lucca in the sixteenth century as possessing amazing extempore poetical skills despite her illiteracy and who knew the chivalric epic of Ariosto by heart. Yesterday wasn’t just Saint Patrick’s Day. 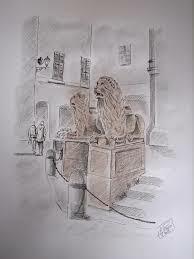 It was the day when the newly united kingdom of Italy was proclaimed in 1861. It wasn’t until 2012 that this seminal day in the history of Italy was declared a national holiday – a day dedicated to the celebration of a country finally united after years of division under despots, foreign and otherwise. Italian history has certainly not been plain sailing since that auspicious proclamation of unity. 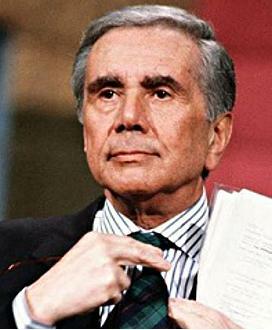 In particular, the continuing divisions created by the mafia and associated quasi-political gangs, the long way still to go towards a truly stable and mature democracy (Italy has had sixty-four different governments since 1945 and only one of them has succeeded in surviving more than five years.) Corruption is endemic. On yesterday’s news, for example, yet another example of contracts obtained by bribery and the usual game of double and even triple time-card punching by governmental employees so that some of them might enjoy a day off boating or fishing or on the golf-course was again brought to our attention. That’s why the extraordinary find of a ten-page sketch for a broadcast on Bari Radio by the great Italian philosopher, man of letters, political figure and poet, Benedetto Croce, among the papers left by a great figure of Bagni di Lucca’s recent past, Ian Greenlees, is so important and so fittingly presented on yesterday’s auspicious day for the Italian republic, thanks to the initiative of the comune’s cultural association, Fondazione Michel de Montaigne, under the presidency of Prof. Marcello Cherubini. 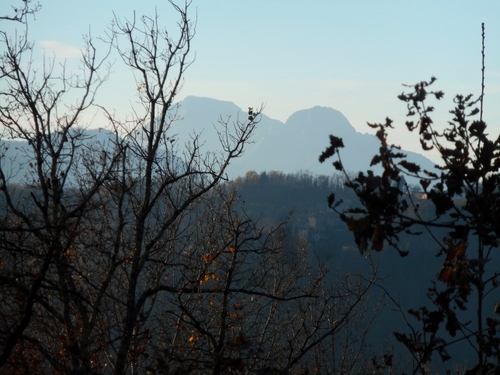 To understand why what has been found in Bagni di Lucca’s Greenlees archives is so important it’s essential to say more about three subjects. 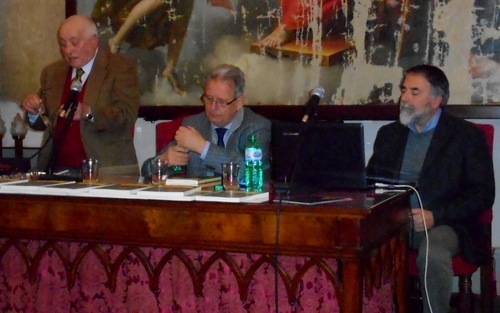 Benedetto Croce himself, Ian Greenlees and Bari Radio, while at the same time understanding the historical context in which all three came together. It is, in my opinion, a key moment in appreciating why Italy’s ideals are what they are today. First, Croce. 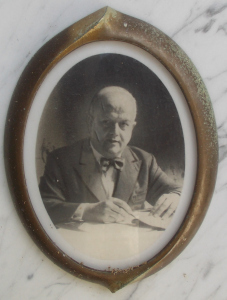 Benedetto Croce, (1866-1952) wasn’t just an Italian philosopher, historian, and political leader. He was also an opponent of organised religion, indeed he was an atheist. He became a senator in the Italian government in 1910 and served as minister for education from1920 to 1921. When Mussolini came to power in 1922 Croce became a strong opponent of fascism. 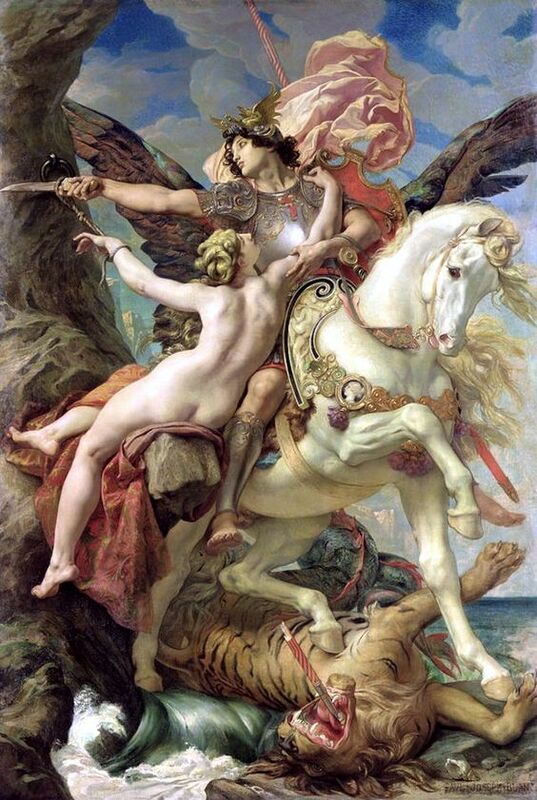 This is not the place to expand on Croce’s philosophical ideas, which were based on Hegel, except to say that he had an infinite faith in man’s creative powers and the belief that art could make the world a better place. 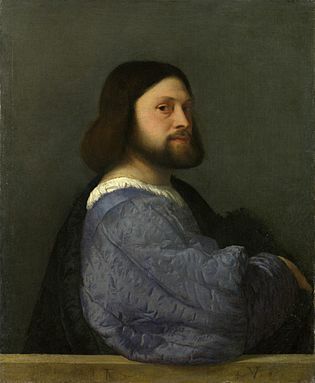 Croce believed that one should learn from history (unfortunately a lesson still barely learnt now) and was a defender of free will. I suppose the nearest equivalent of such a person in the UK in terms of the bravery of his convictions of liberty would have been Bertrand Russell. Second Greenlees. Ian Greenlees has been amply described by me in my post at https://longoio.wordpress.com/2014/05/06/r-i-p-ian/ which should be referred to at this stage. 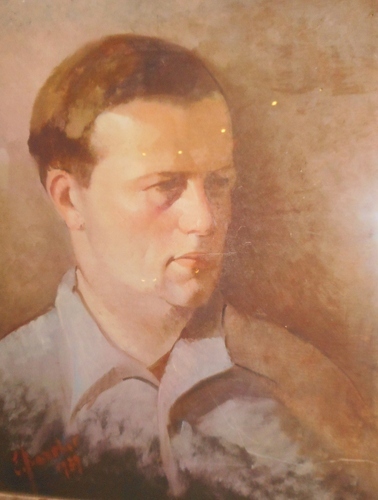 The important point, however, about this multi-faceted, very-well-off, smoothly elegant, highly socially connected, renaissance-wise learned, rather eccentric, highly practical and eminently decent resident of Bagni di Lucca occurred when Ian was appointed Director of Rome’s British Institute in 1939 and evacuated his staff courageously across a Nazi-invaded France back to London in a style reminiscent of certain episodes in Olivia Manning’s “Fortunes of war”. Greenlees was put in charge of Italian language broadcasts for the BBC precursor of the World Service and also took part in the allied invasion of Sicily in 1943 which led to the armistice and the terrible two years of civil war which followed. Undeterred, Ian ran a free Italian anti-fascist radio station from Bari (where the Italian Royal family had fled to) and was promoted to Major. Deeply involved in intelligence operations and with establishing allied-partisan coordination, Greenlees played an important part at the end of WWII in setting up a new government free from Fascist influence. Third, Radio Bari. 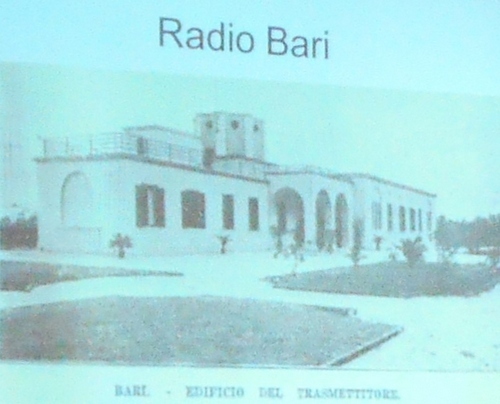 The radio Bari broadcasting station was used during the fascist regime to diffuse propaganda to listeners in Arab-speaking countries which, in effect, meant the whole of the southern Mediterranean, at that time still largely under British and French mandates. When Word War II started a ‘radio war’ began too and axis and allied radio stations did their best to jam each other’s broadcasts. After the landing of the allied forces in Sicily under operation Husky in August 1943 and the gradual advance (Churchill’s ‘hot-red rake’) of the liberating forces up the Italian peninsula, the Bari radio station was liberated by local partisans in sympathy with Benedetto Croce. With the assistance of radio technicians and anti-fascist liberal sympathizers Radio Bari was set up and Ian Greenlees was appointed to administer and programme it. On the 11th September 1943 the first message of King Victor Emmanuel was broadcast from it – it was the first broadcast of Free Italy. (Naples was still too close to the German forces for it to be considered a safe haven, not just for the King but also for broadcasting from. On 23rd September 1943 Bari radio station became the central Allied headquarters for broadcasting news about liberated Italy to all parts of the peninsula. The main programme was called Italia Combatte (Italy fights on) and special coded messages were sent to partisan groups and, of course, the allied forces stationed not just in Italy but on the North African coast. Radio Bari wasn’t just propaganda but it was also entertainment. Thanks to the capture of a record store listeners were entertained to a variety of music ranging from Glen Miller to Mozart. Furthermore, the topical items and discussions were not in any way specifically politically slanted. 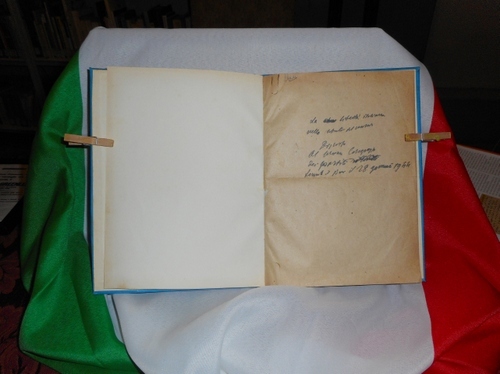 This is where Benedetto Croce’s recently discovered notes on the first broadcast of Italia Combatte comes in. 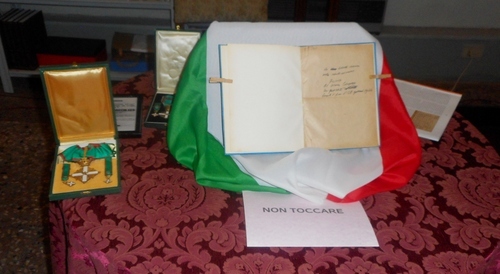 These notes which Croce donated to his friend Ian Greenlees, (who’d translated Croce’s poems), have the keynotes of Liberty and Freedom of speech interweaved. There would be no right or left or centre wing parties dominating the programing but all anti-fascist sides would be able to have a voice. The only rule was that all those speakers should have liberty inscribed in their hearts and that the news reported on the front should be accurate without (clearly!) giving too much away to the Axis powers. A vision of a new Italy freed from fascist oppression and totalitarian dictatorship was thus presented. At one stage during this incredibly intense conference held at Bagni’s ex-Anglican church (normally Thursday afternoons are dedicated to the terz’età (university of the third age) ‘lezione’ in which I have contributed for over eight years but this was a special occasion for a special day in Italian history), it was suggested that Benedetto Croce night have been somewhat disappointed by several aspects in which post-war Italian liberty has been interpreted but this aside was fully understood by the very ample audience present. 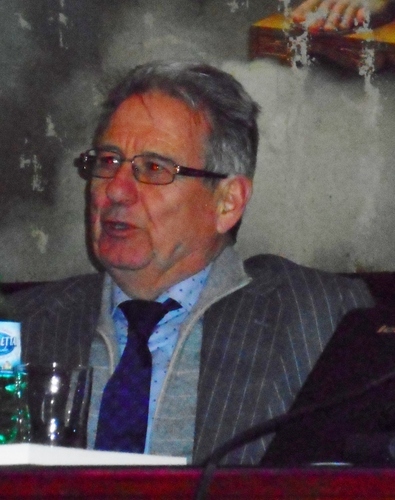 Professor Marcello Cherubini, the president of the praiseworthy Fondazione Michel de Montaigne, gave a lecture which was both highly interesting and hugely informative. 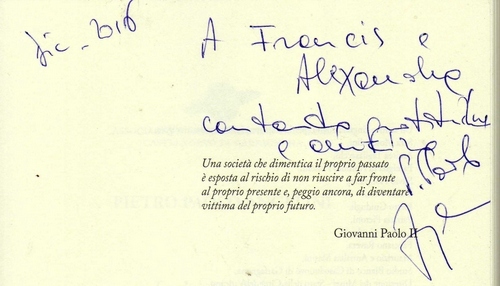 This was followed by a fascinating analysis of why the notes were definitely by Benedetto Croce on the basis on his annotations made on the typewritten ten pages by expert graphologist Doctor Maria Laura Ferrari, whose highly tuned skills are also used by the legal profession. 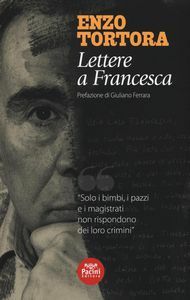 I do not need to go into her detailed description of general and specific details of the analysis of Croce’s penmanship except to confirm her opinion that they are definitely by his hand and, moreover, reveal psychological insights into his dynamic and polymathic character. The conference was not short but my ears were glued to every word I heard. I do not feel that a more apt celebration of Italy’s emergence as a nation one hundred and fifty five years ago could have been presented. 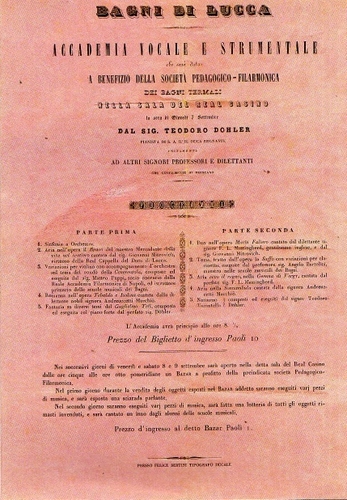 The finds of a speech by one of Italy’s greatest philosophers, Benedetto Croce, broadcast on Italy’s first liberated radio stations, Radio Bari, under the directorship of one of the greatest promulgators of harmonious Italo-British relationships, Ian Greenlees, could not have been presented at a more opportune moment than now when such essential concepts to liberty and the pursuit of happiness are being more and more dangerously questioned and, indeed, threatened by current world events.